Bringing you a unique mixture of romance and horror! 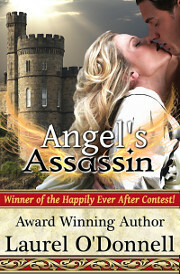 We are very pleased to announce that Angel’s Assassin has reached a #1 ranking on Amazon for the Medieval Romance category! The ODONNELL BOOKS mini-store on Amazon is now live! You can find all of our ebooks, paperbacks, and audiobooks available on Amazon in one easy-to-shop place. Metamorphosis by Jack O’Donnell is available now!